A Sunday family paper, The Standard. The company also runs a distribution company Munn Marketing and a printing division. Vincent joined the organisation in 1996 as a political reporter, having worked briefly in government and at the now defunct Daily Gazette and the Sunday Gazette. 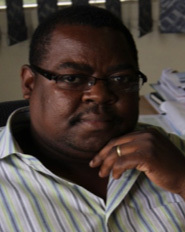 He was promoted to News Editor of the Zimbabwe Independent in 2000 before he was appointed Editor of the paper in 2004, a position he held for six years before assuming the position of Group Editor-in-Chief in February 2010 and founding editor of NewsDay. As Editor-in-Chief, Vincent was in charge of AMH’s content strategy in print and online. He was an integral part of the team which led AMH’s digital strategy and the newsrooms integration plan until his promotion to the position of Managing Director of the group in August. Vincent holds qualifications Media Studies, Public Relations, Public Information Management and Media Training. 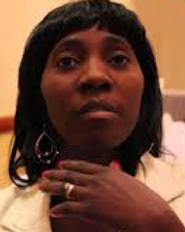 Emelda Libanga Musonda is Sunday Mail Editor with a state owned newspaper – the Zambia Daily Mail. She started her journalism career as a reporter and newscaster for Radio Christian Voice before joining the Zambia Daily Mail in 2006 as a sub editor. In 2011 she was promoted to assistant Gender Editor. In 2013 she was elevated to Deputy Sunday Mail Editor a position she held for nine months before being promoted to Sunday Mail Editor. Emelda holds a bachelor of Mass communication degree from the University of Zambia and a Postgraduate Diploma in Media Management from Rhodes University. She is a successful graduate of the WAN-IFRA Women in News Programme (2010 -2014), aimed at addressing gender parity at management level in the African media industry. In 2014 she also participated in the WAN-IFRA Executive Twinning programme – an initiative which brought media Chief Executive Officers and publishers together for exchange of ideas. She has also participated in the African Media Barometer Workshops by the Friedrich Ebert Stiftung in conjunction with the Media Institute of Southern Africa for the years 2005, 2011 and 2013. This is forum aimed at assessing the the state of media in Zambia. Beata owns and is Publisher of The Voice, which is currently Botswana’s best selling newspaper. With over 25 years experience in journalism and photography, Kasale has worked as a Strategist in various spectrums including market research, needs assessments and evaluation of media, HIV/AIDS among others. She has worked extensively with organisations including International Media Women’s Foundation (IWMF), African Comprehensive HIV/AIDS Partnership (ACHAP), Commonwealth Secretariat, Commonwealth Press Union (CPU), Steps for the Future, Gender Links, Panos Institute, Open Society Initiative (OSI), Open Society Institute of Southern Africa (OSISA) Gender Links and AMARC. Kasale was a Board Advisory member for the Women in News initiative which is part of WAN IFRA in their Africa programmes including the Women in News in Botswana, Namibia and Zambia. She is currently working with seven media houses which have developed Gender Policies aimed at mainstreaming gender in the workplace and content with GenderLinks. 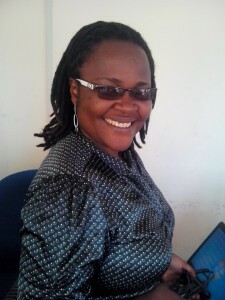 She conducted the IWMF Maisha Yetu a programme which was run in Senegal, Kenya and Botswana which trained journalists on reporting public health. Kasale was a Commonwealth Elections Observer and she is the Chair of the Botswana Publishers Forum. She is a Human Rights Activist who works with the San of Botswana in lobbying the government to recognise them as an integral part of the society who deserve to benefit from the country like every other citizen. She published a children’s book, The Treasure in the Garden with Heinemann, UK in 2001. 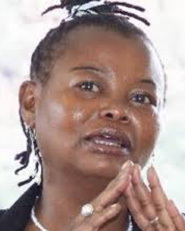 Kasale is a recipient of the Presidential Certificate of Honour, 2010 in her contribution to the development of Botswana though media and human rights advocacy. Solange Ayanone is A Rwandan journalist and trainer with over 20 years of experience working with various media organisations. She has previously worked as a programs director for the Isango Star, and as a trainer for Syfia International. Ayanone is currently a media coordinator, coach and trainer at Pax Press, as well as a reporter for Deutsche Welle’s French department. At the moment, Ayanone is pursuing an MBA, specialised in project management at the University of Kigali. An experienced media manager with a consistent track record of successfully, employing best business practices that improve efficiency, reduce operating costs, whilst increasing productivity to tight time scales and within budget. Having a professional attitude and an ability to be flexible and handle change in a positive manner, Possessing excellent communication, leadership and organizational skills, Cross-Functional Leadership, General Management, Strategy development and implementation. Digital strategies, Media management including all mediums, Branding, e- commerce, mobile solutions, Product Development. 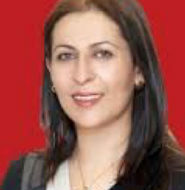 Jumana Ghuneimat is the Editor-in-Chief of Al-Ghad, a Jordanian daily newspaper; she is the first woman to take the top editing position of an Arabic daily newspaper in the region. Before holding this position, Ghuneimat worked as the Deputy Editor-in-Chief and the Director of the Economic Department at Al-Ghad. Ghuneimat has been involved in journalism since 1999, when she began working for local and pan-Arab media outlets. During a long career as both an opinion editorial writer and a reporter, Ghuneimat has held staff positions at al-Ra’i and al-Sijil newspapers, and has reported in a freelance capacity for a number of regional newspapers and magazines. 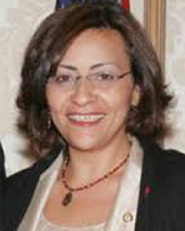 In 2005, Wafa’ Abdel Rahman, founded FILASTINIYAT, an NGO committed to ensuring and supporting the equitable participation of women and youth at alllevels of public discourse. She is known as the first hostess of a TV hard talk show in the local media. She is a feminist and independent political activist. Ms. Abdel Rahman is a fellow of the Eisenhower Fellowships- 2007 Multi Nation Program in which she was selected as the 2007 Ward Wheelock Fellow. This award is given annually to a Fellow from the Middle East who has best demonstrated a commitment to public causes. Ms. Wafa’ holds an M.A. in Politics of Alternative Development Strategies, Institute of Social Studies, from The Hague, Netherlands (2001) and B.A. in History and Political Science, from Bir Zeit University, West Bank, Palestine (1994). She is also a Founder and board member of The Palestinian Female Journalists’ club that brings together 177 female journalists in Gaza and West bank. (2010- present) Previously, she worked as Editor in Chief of NAWA- Feminist News Agency – an online radio and youtube channel are under preparation for the agency(2012): www.nawa.ps. She has been amember of International Women’s Commission (2005 – 2010); Palestinian Coordinator, 3000 Facilitators for Peace in the Middle East (2004 – 2007); Program Officer, AMAN: Transparency Palestine, Ramallah (2004 –2005); Director of Democracy and Good Governance, Palestinian Initiative for the Promotion of Global Dialogue and Democracy- MIFTAH, Jerusalem, lead by Dr. Hanan Ashrawi (2001 – 2005) and Coordinator of Palestinian NGOs’ Network, Gaza (1996 – 1999). Vincent Peyrègne took up duties as Chief Executive Officer of the World Association of Newspapers and News Publishers (WAN-IFRA) on 1st October 2012. Prior to joining WAN-IFRA, since the end of 2008 he worked in the office of the French minister of Culture and Communication where he was responsible for newspapers and new media as well as the Dzétats généraux de la presse écritedz, the French government’s response to the economic difficulties facing the newspaper industry. From 2004 to 2008 he was head of development at Edipresse Publications SA in Lausanne, with responsibility for reader studies and marketing research. In 1997, as Regional Manager of IFRA (INCA FIEJ Research Association), he established IFRA South West Europe, the IFRA subsidiary with responsibility for the French-speaking regions and the Iberian Peninsula, which he headed for seven years. He then established IFRA Ibérica in 2000, coinciding with the launch of the Spanish-language edition of IFRA’s international magazine, técnicas de prensa. 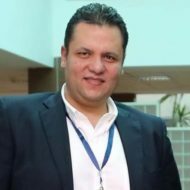 Before joining IFRA for the first time, he worked for three years for the business daily publication La Tribune Desfossés in Paris, initially as head of advertising, then customerrelationship manager. A graduate of the European Institute of Business Administration (IEA) in Paris, he began his professional career working as a consultant for several French newspaper companies, such as Libération and Groupe Sud-Ouest as well as for professional organisations such as Syndicat de la Presse Quotidienne Régionale, Syndicat de la Presse Parisienne, Syndicat des Quotidiens Départementaux and Nouvelles Messageries de la Presse Parisienne. Vincent Peyrègne is a founding board member of the French-language chapter of SND (Society forNews Design) and since several years a member of ESOMAR and INMA, and a former member of the REMP-WEMF Research Committee (advertising media research) in Zurich.